Chicago is known as the second city, but for the next 48 hours it will also be known as the ninth circle. 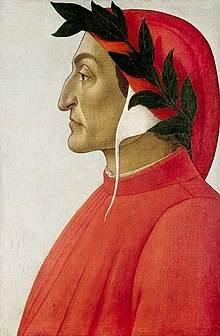 In Divine Comedy, the Dante Alighieri epic poem, Dante describes his journey into and through hell. Albeit it was the 14th century when his work was published, he most certainly missed one of the circles of hell, and that was the Chicago polar vortex. For that matter, he also missed the sweltering humid Chicago July. Yesterday I discussed in my titled blog post Snowday, Winter Weather Advisory, that bad weather days are a gift if you’ve got a desk full of things to do. Well today, I’m going to talk more of the spirituality of bad weather. Once at church, our priest was telling of his training with another congregation. The priest at that church would always give thanks to God for the weather, whatever the weather. It was snowing, or raining or blustery, he would always include thanks and praise to the Lord. One day, the weather had been similar to todays anticipated polar vortex and the congregation was bundled in the pews with coats, hats and gloves still on. The faithful knew what to expect and could not see how he was going to give thanks for such an unbelievably awful day, when he threw a curve during the prayer. The priest said, thank you Lord, thank you for not making everyday like this. Well, that’s a spin on the even roses have thorns, and it’s true. Bad weather can lead to having a productive day, and it can also lead to manufacturing of distractions. I can tell myself equally on good or bad weather days that I don’t have the focus due to the weather. Chicago is currently under a Wind Chill Advisory, and a Wind Chill Warning for the next 48 hours. I am a spiritual person who believes in a higher power. I do not go to church regularly, although I do pray everyday to what I believe is God. Yesterday, I caught myself saying it was going to be cold as hell. When Dante discusses the coldest part of hell, he discusses the ninth circle of hell. He describes it as the furthest part away from the warmth and love of God. It is where sinners are trapped waist-deep in the ice, fixed and suffering. For the next 48 hours, Chicago will still feel the love of God, and it will be as cold as the ninth circle of hell. As I say a morning prayer, I will thank the Lord for all the blessings he has bestowed upon me and of those I love. I will give praise to God and most very sincerely thank him for not making everyday like the weather we are suffering today, yes, suffering. I still have things to complete from yesterday, and their are new things to complete. Right now though, the dawn has come, the sun is just about to rise above the horizon, and the planet Saturn is visible with my naked eye. Soon my children will make their way downstairs and whine about the warm oatmeal I’ve made for them and how it’s to cold to go to school. My heart will swell with love and pride as I shoe them out the door into the ninth circle of hell so as they don’t miss the bus, and so I’ll not have to drive them.